Through 10 games, the Dana Hills girls basketball team is showing the depth that could help them achieve their goal of capturing a league title and making a deep playoff run. The Dolphins have won seven games and are winning in well-rounded style. Five players are averaging at least eight points per game and the team is outscoring its opponents by nearly 10 points per game on average. Sophomore point guard Maicie Saia has been filling up the stat sheets. She leads the team in points per game (14.5), assists per game (3.3) and steals per game (3). Senior point guard Peyton Romo, the team’s leading scorer last season, is chipping in 12.3 points per game and junior Maya McArthur is averaging a double-double (13.6 points and 13.3 rebounds per game). Most importantly, the productive lineup has been converting their efforts into victories. 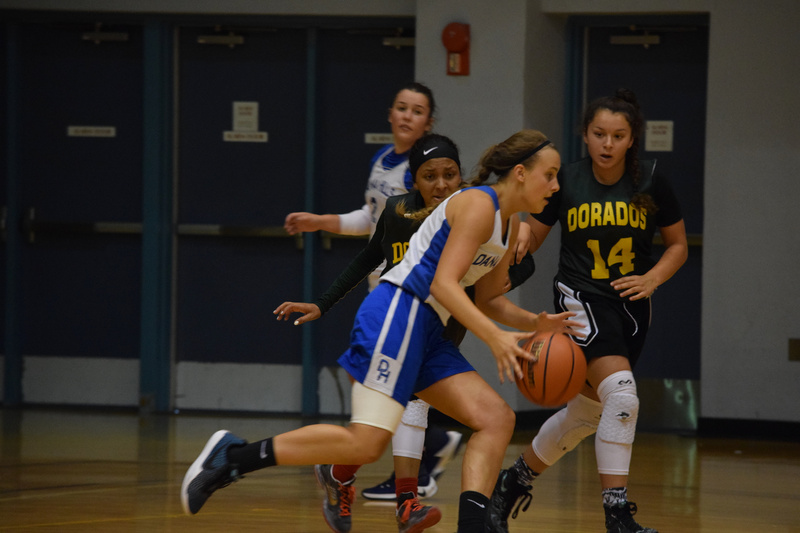 Dana Hills went 3-1 at the Corona Del Mar Tip Off Tournament earlier this month, and, despite dropping three games to start the Ocean View Hawk Holiday Classic last week, bounced back with hard-fought consecutive victories in their last two contests. Both McArthur and Saia were named to the Corona Del Mar and Ocean View tournaments’ all-tournament teams. Dana Hills narrowly edged St. Anthony, 78-76, and North, 56-54, to end their tournament run on Dec. 8 and Dec. 9, respectively. Up next for the Dolphins is a nonleague home game against Orange Lutheran (4-2) out of the Trinity League on Saturday, Dec. 16.